﻿ Foundations of poker - position, aggression, hand selection. Foundations of poker - position, aggression, hand selection. Poker is connected with so many things, that it is very hard to say about only one foundation. This is the reason why I decided to write an article about most important things, that every poker player should be aware before he will sit at poker table. I`m specialist at HU SnG and MTT (especially rebuy and deepstack), so my article will be mostly about those two forms of poker. Everybody have heard about it or read some article about it. Everybody talks about it and it is in every form of poker (cash, sng, mtt). Why position is so important? Well, mostly because when you are in position, than you will make your decision as the last one. It gives you great power, because it gives you almost every available information. It is something like watching football match from few different cameras in the same time. Because of that you will know pot equity on every street, we will roughly know which cards have our opponents and we will have a possibility to steal the pot despite that we have nothing. By saying that I`m dealing cards in here, in texas holdem have double meaning. Firstly dealer deals the cards and secondly he will play most important role. Doyle Bronson said that if he could play only on the button, than he could earn money without looking at the cards. Not long ago some 18-years old Norwegian girl won an online tournament for 180 players without looking at the cards. It tells you a lot. 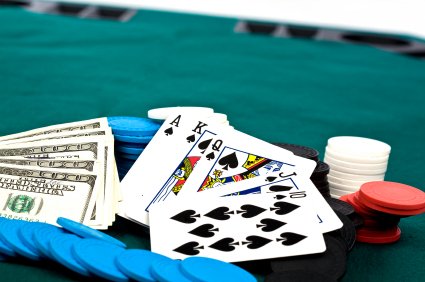 Remember every poker player – try to play with position often, and rarely out of position. How you can win without raising? It`s easy – you can`t. Absolutely passive player will be never a winning player. Of course there are some situation, in which it is good to be a passive) so-called slow play), but majority of situation requires from you raising bets. When I was calling my opponents in tournaments, I was really surprise very often that they lose not so much money, because they played very weak (they wasn`t looking at the position, they thought that pocket sixes is a monster, played too much hands, etc.) – answer was surprising at the beginning, but then it become absolutely reasonable. Well, when they have very strong hand, they raise very well and gets from that hand maximum value. You need to raise – raise more if you are in position. Aggressive game makes that our opponents fell a respect for us and think twice before they will go in to the hand. The more aggression, the hardest and more stressful game is. I remember that when we used to play on pennies, I was the only one player, which was raising. Other players didn`t like it and they were very angry at me, because I did it and they can`t play quietly. After some time more tight players starts to be even more tight and I play just with only some loose passive players and it let mi to take completely control in at the table. It was fun, that nobody was raising me, even with AA or KK, because they were scared that I will notice that they have strong hand, because earlier they wasn`t raising. So remember poker player – raise as much as possible and they will be scare of you and you will win more. In every game we should narrow or broaden our hand range, despite of how loose or how tight the table is. But foundation should be constant. When we get more experienced, we learn more how to play some hands and we can become more loose player and play with more speculative hands. Always good foundation will be hands 22+, A9+, QJ+. Playing those hands is pretty easy and I think that don`t need to be master in post flop game to play it well. By raising good this hand range you should earn some money in long term (for example because most of players it too loose). I would never be when I`m now, if I wouldn`t play with good hand selection. Of course now I can easily raise with 93s and play this hand good on the flop, but it came from foundation, which is a tight game. Big warning for every beginning poker player – I`m sure that you heard that loose aggressive game is most interesting and most profitable, but trust me – to play loose good, you need to be master of tight player at first. Try to play with narrow hand range tens of thousands hands, and then start to play more loose. On defense I can say that loose game is not always better than tight game and some of poker player will be never good play loose, that is why tight style will be always correct and simply to use.